Home-grown innovation is at the core of these 19-percent efficient P-Series solar panels from SunPower, assembled at the company’s U.S. manufacturing facility to meet strong, commercial market demand. SAN JOSE, Calif., Feb. 7, 2019 /PRNewswire/ -- In October 2018, SunPower (NASDAQ: SPWR) acquired the SolarWorld Americas facility in Hillsboro, Oregon, making good on its commitment to invest in American manufacturing. 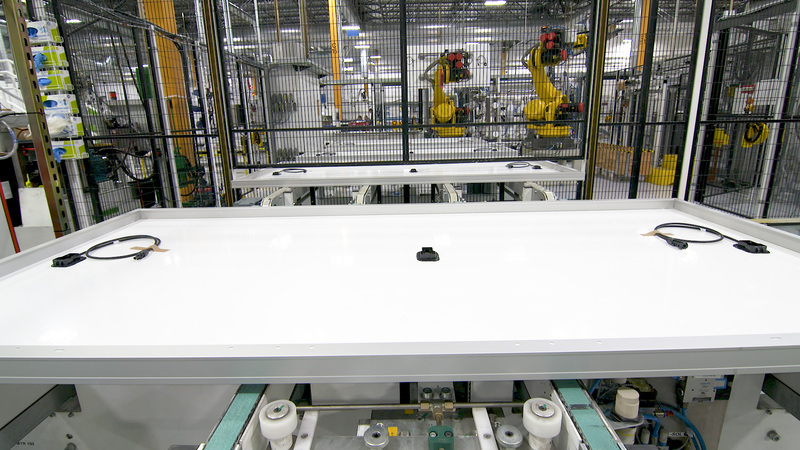 Just four months later, SunPower is assembling its high-quality 19-percent efficient Performance Series solar panel (P19 or P-Series) for commercial customers in the U.S. factory, leveraging U.S.-made automated stringing equipment and a workforce of about 200. 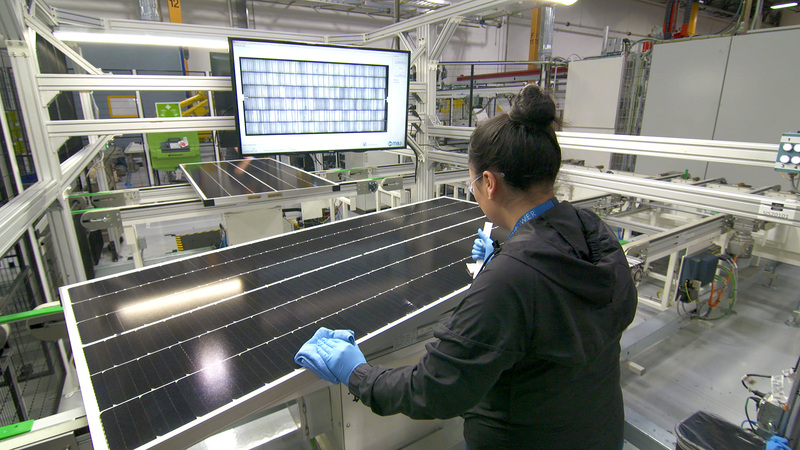 "Today we celebrate the revival of American solar panel manufacturing as SunPower's high-quality P19 product starts coming off the line in Oregon," said Tom Werner, SunPower CEO and chairman of the board. "Now that we're in full production, we look forward to meeting our strong U.S. commercial market demand with these high-performance American-assembled panels." 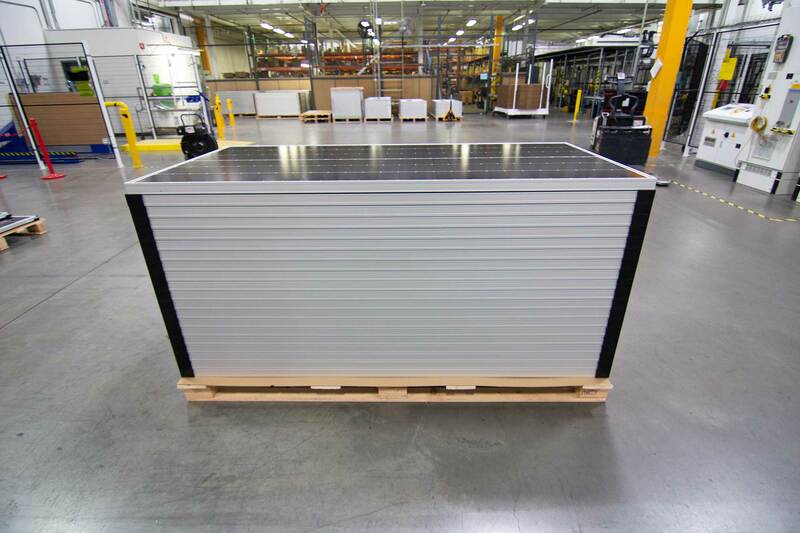 SunPower will begin fulfilling commercial customer orders and shipping P19 solar panels from Oregon in the coming weeks. Several high-ranking Fortune 500 companies, an auto dealer in Texas, and a church in Missouri are just some of the customers who will soon benefit from SunPower® panels that were assembled in America. SunPower is currently the No. 1 commercial solar provider in the U.S. with the most megawatts installed according to Wood Mackenzie (formerly GTM Research). Incorporating P19 into a comprehensive high-efficiency product portfolio that includes SunPower's Maxeon®-based X- and E-Series solar panels – as well as the company's newly-developed Next Generation Technology coming this year – will enable SunPower to maintain this leadership position. SunPower's P19 solar panel architecture leverages a unique cell interconnect technology developed by a U.S.-based company called Cogenra Solar and funded in part by the U.S. Department of Energy (DOE) SunShot Initiative. SunPower acquired Cogenra in 2015 and introduced P-Series solar panels that same year. Now made in several geographies, P-Series panels are currently the most deployed shingled cell solar panels in the world and are highly reliable. For the second year running, DNV GL – a global independent energy expert and certification body – has named the P-Series solar panel a top performer in all five DNV GL tests that measured reliability through thermal cycling, damp heat, humidity-freeze, dynamic mechanical load and potential induced degradation. "As a leading solar technology and energy services provider, we pride ourselves on offering the industry's most efficient solar panels available today that we design, engineer and manufacture ourselves," Werner continued. "With strong U.S. solar demand expected to continue, we are committed to offering our customers the option to buy industry-leading SunPower solar panels assembled right here at home." As one of the world's most innovative and sustainable energy companies, SunPower (NASDAQ:SPWR) provides a diverse group of customers with complete solar solutions and services. Residential customers, businesses, governments, schools and utilities around the globe rely on SunPower's more than 30 years of proven experience. From the first flip of the switch, SunPower delivers maximum value and superb performance throughout the long life of every solar system. 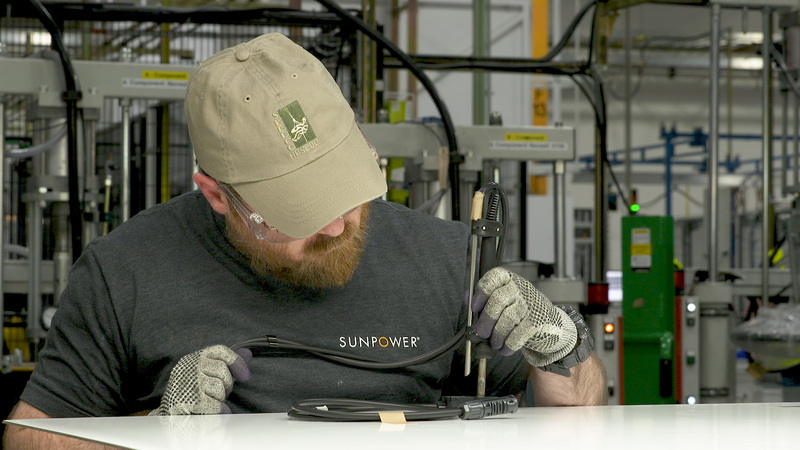 Headquartered in Silicon Valley, SunPower has dedicated, customer-focused employees in Africa, Asia, Australia, Europe, and North and South America. For more information about how SunPower is changing the way our world is powered, visit www.sunpower.com. This press release contains "forward-looking statements" within the meaning of the Private Securities Litigation Reform Act of 1995, including, but not limited to, statements regarding project plans and deliverables, cost savings, and product performance. These forward-looking statements are based on our current assumptions, expectations, and beliefs and involve substantial risks and uncertainties that may cause results, performance, or achievement to materially differ from those expressed or implied by these forward-looking statements. Factors that could cause or contribute to such differences include, but are not limited to: regulatory changes and the availability of economic incentives promoting use of solar energy and fluctuations or declines in the performance of our solar panels and other products and solutions. A detailed discussion of these factors and other risks that affect our business is included in filings we make with the Securities and Exchange Commission (SEC) from time to time, including our most recent reports on Form 10-K and Form 10-Q, particularly under the heading "Risk Factors." Copies of these filings are available online from the SEC or on the SEC Filings section of our Investor Relations website at investors.sunpowercorp.com. All forward-looking statements in this press release are based on information currently available to us, and we assume no obligation to update these forward-looking statements in light of new information or future events. © 2019 SunPower Corporation. All Rights Reserved. SUNPOWER, the SUNPOWER logo and MAXEON are registered trademarks of SunPower Corporation in the U.S. and other countries as well.